To mark International Archives Day 2015, we’re posting a sampling of some of the international fare in PAMA’s archival collections. Now of course we’ve said several times on this blog already that we confine our collections to Peel-related material. So what are we doing with records from Europe, western North America, Jerusalem, Australia, and Egypt? The answer to this question makes an important point about the way archives work and why. As collectors and preservers of records, archives indeed specialize in certain topics, like a geographical area, a corporate body, or even a single person. Imagine if all archives collected anything at all, as long as it was old. For one thing, we’d quickly be overwhelmed; and researchers would have to visit hundreds of archives to find material they needed on one topic. Archivists not only specialize, but also keep records together based on who collected or created them; records accumulated by a distinct person or group of people are not separated from one another. This is because not only the individual items, but that entire body of material – the relationships between its individual elements – reveal things about that person or group’s life across time. And this is why you’ll find international material in the Peel archives – because people from Peel came and went from other places and their records show the evidence. The records that tell us about other places in the world also tell us something about Peel and the people who built it. Archives are interconnected because people are interconnected. 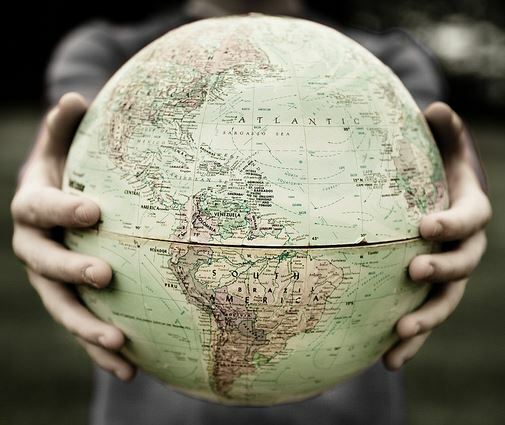 In a way, archives throughout the world are like a vast network that works together to assemble the big picture of human activity. So as you enjoy the images below, spare a thought for the thousands of archives and archivists around the world who are saving the evidence of what the human race has been getting up to in the past, present, and far into the future. The two legal documents below, both on parchment, or animal skin, are the oldest records the Peel archives holds. They come from the records of a Brampton lawyer, Blaine Bowyer. We don’t know whether they are family documents that were handed down to him or whether he acquired them as a collector. 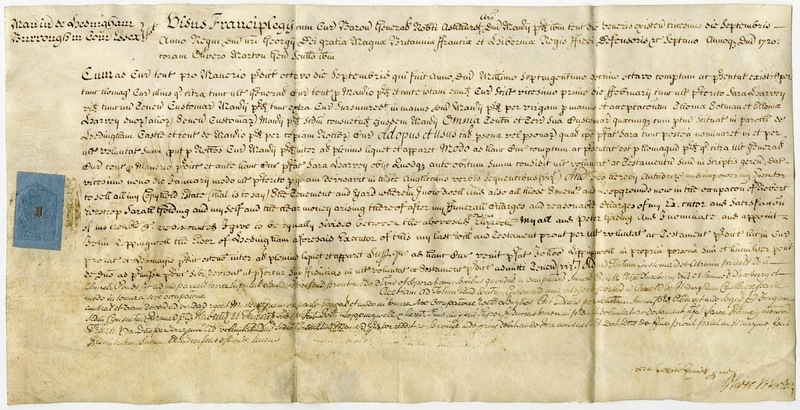 The first is a manorial court document relating to the will of an Oliver Marton of Hedingham, Essex, dated 1720 during the reign of George I. It is written in Latin (very much the language of law at the time) and English. The blue device is a tax stamp. The second document, shown front and back, is a contract written in English and dated 1658, interestingly during the interregnum (“between reigns”) period of English history when the country was governed as a short-lived republic after the execution of King Charles I. It is signed by Edward Harris, among others. Unlike Oliver Marton above, he was illiterate and left his “mark” – a crude H—because he could not sign his name. A scrivener, or scribe, named William Adams wrote up this document for him. The reddish substance on one of the bottom straps is wax from a now missing seal. 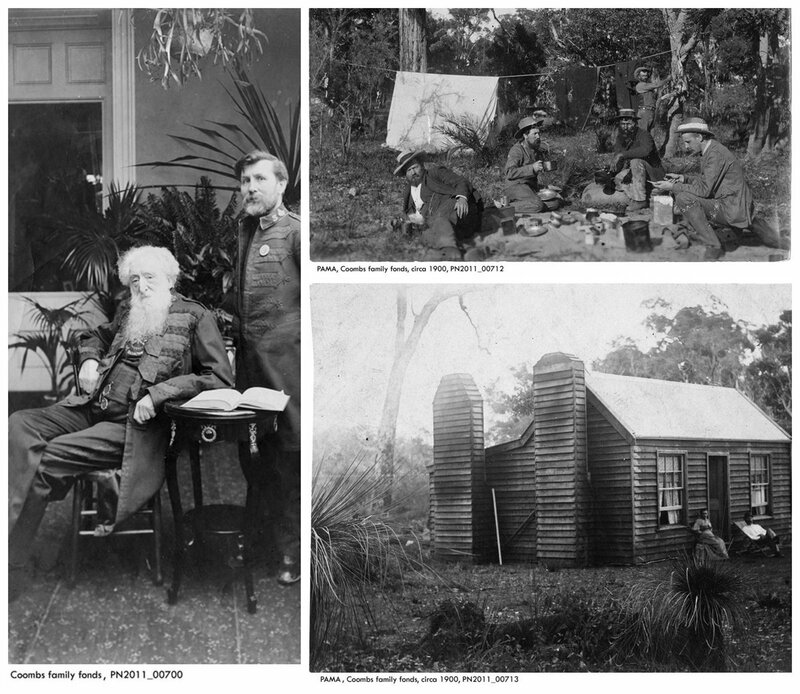 These photographs of the wilds of Australia come from the records of Thomas Coombs, who eventually settled in Brampton, Ontario, and lived in one of the town’s most distinctive residences, Alderlea. But before he settled in Peel County, Coombs served as Canadian Commissioner for the Salvation Army and toured Australia with General William Booth. In the left-hand image below, he poses with Booth (Booth is seated). Caroline Armington was born and raised in Brampton, Ontario, and studied art in France where she lived for many years. She is known primarily for her etchings, which are housed in galleries around the world including here at PAMA. 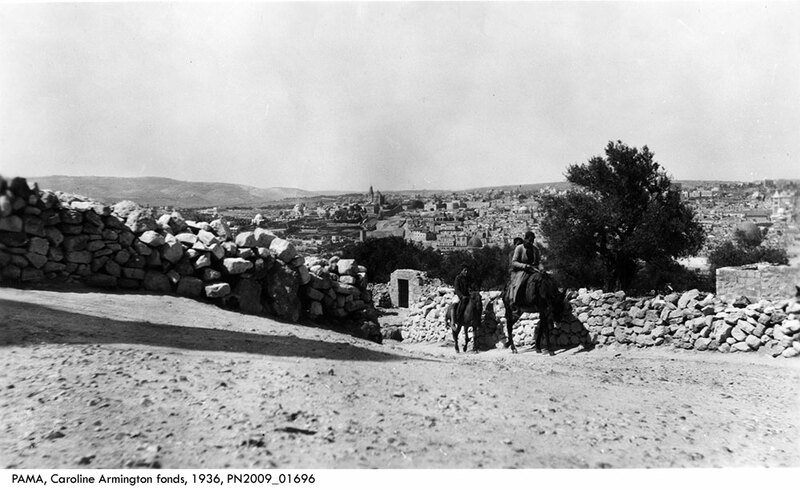 In 1936 she travelled with her artist husband Frank Armington to Jerusalem on a combined pilgrimage and sketching trip. 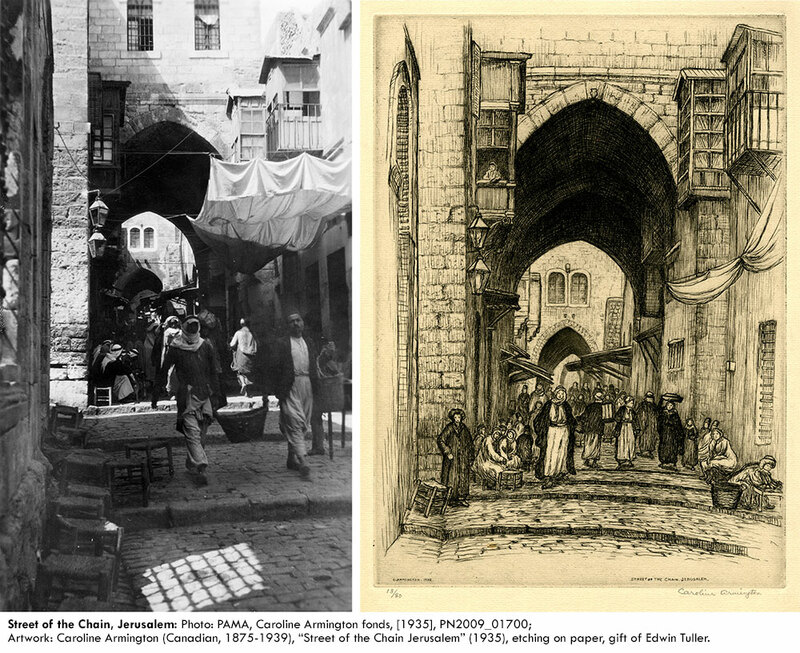 The photographs and artwork she produced not only document Jerusalem at that time but also her artistic process. Did she use the photograph on the left as a reference for the etching on right? If so, the differences between the two images tell us how she combined observation and memory. 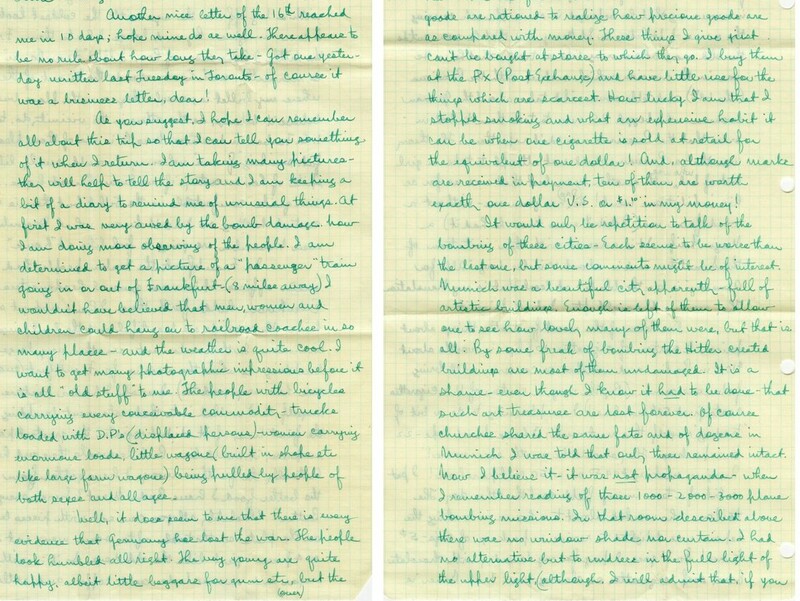 The following pages are from a 1945 set of letters by Eugene (“Gene”) C. Burton penned during his tour of Germany just after the end of the Second World War. We don’t know who Burton was but his letters reveal he was travelling with the US Army and was assessing the state of German industry. Burton paints a picture of German cities and towns immediately after the country’s surrender, including the extent of bomb damage and the morale of the population. 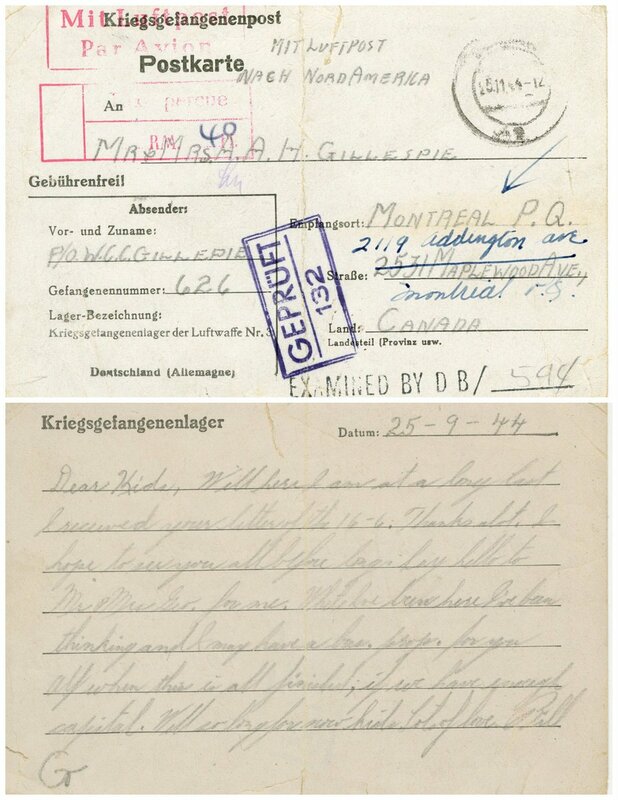 The letters were sent to Lillian Gordon in Port Credit, Ontario. Lillian was a teacher and educational innovator and the daughter of George Wingfield Gordon, a Port Credit magistrate. These letters were found in the George Wingfield Gordon family papers. Also dating from the Second World War, this 1944 postcard was send from Germany to Canada by W. C. C. “Gilly” Gillespie who was being held as a prisoner of war in 1944. His captors would have been careful to inspect his message before it was sent. His message back home is typically cheerful. Bill later became a Brampton resident and a dedicated volunteer at the Peel Heritage Complex, now PAMA. He donated this item to the W. C. C. Gillespie Collection. The photographs below were found in the collection of William Perkins Bull in a set in which he appears, probably taken sometime before 1920. A family member (now dead) once indicated that Bull at one time was an advisor to Prime Minister Wilfrid Laurier on native policy and travelled to western Canada. Perhaps these photographs were collected during that trip. However, in his papers Bull also writes extensively about the native people of South Dakota, so it’s possible he travelled there. 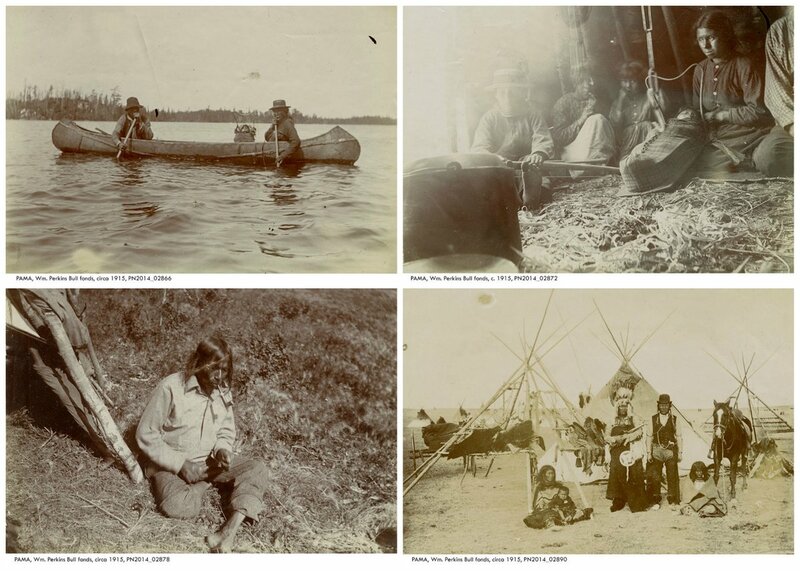 A man of many and varied interests, Bull was fascinated by North America’s indigenous people. Some of his Peel research was devoted to gathering what he could find out about them; as a result he was made an honorary Sioux chief. Wherever these pictures were taken, they document a way of life that was vanishing. 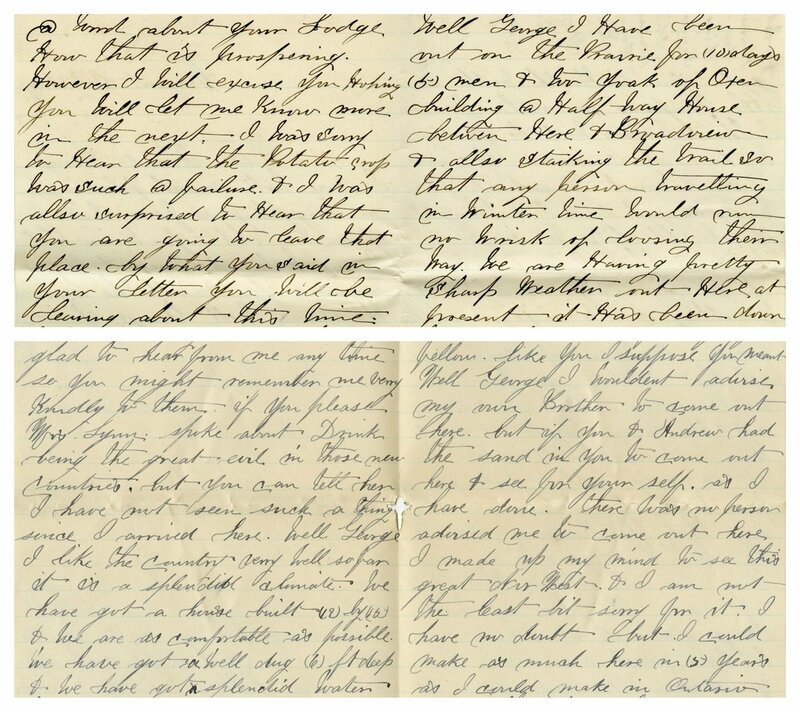 The pages below are from letters sent in 1883 to George Gordon in Port Credit (mentioned above) from an adventurous friend, W. H. Thomson, who moved “Nor’ West” into the wide-open terrain of the North West Territories. The Crescent Lake area he describes settling is now in Saskatchewan. The photographs below are from an album belonging to Grace Cawthra, the last member of Toronto’s wealthy and powerful Cawthra family. Grace died a recluse in the decaying mansion of the Cawthra Estate on Peel land the family had owned since 1808. The Egyptian Album was one of many Cawthra mementos she refused to part with, perhaps because they were a symbol of happier times. As a young woman, Grace travelled extensively with her family. 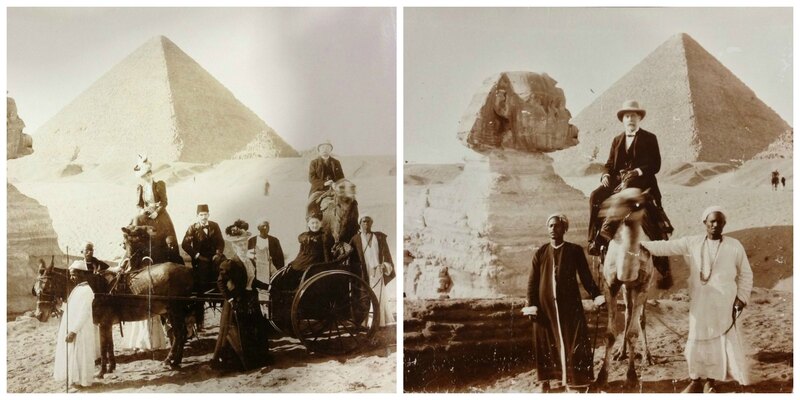 Here we see their entourage on a tour of the monuments of ancient Egypt, about 1898. Love this post – so great to see some of the more exotic records in the collection revealed. What a fascinating travelog and array of documents connecting to the wider world!